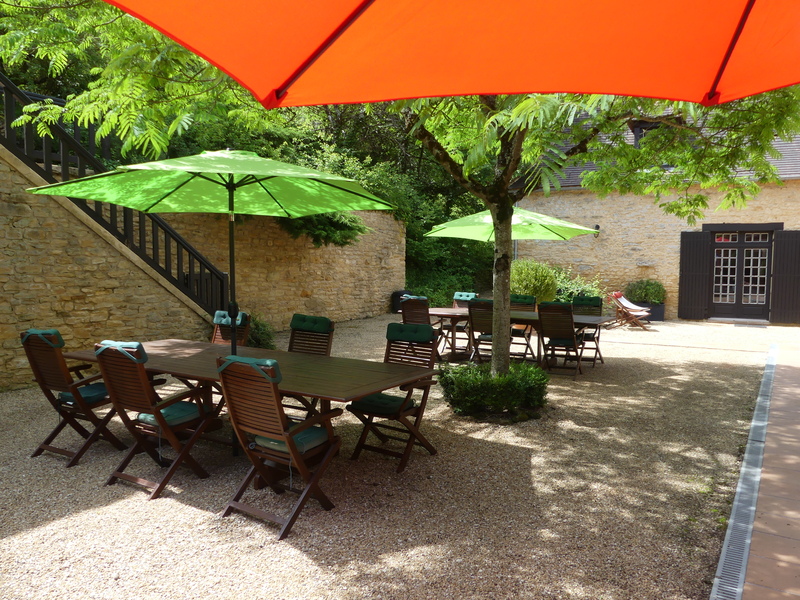 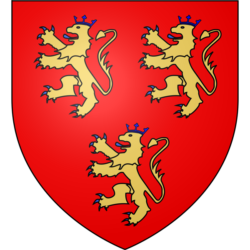 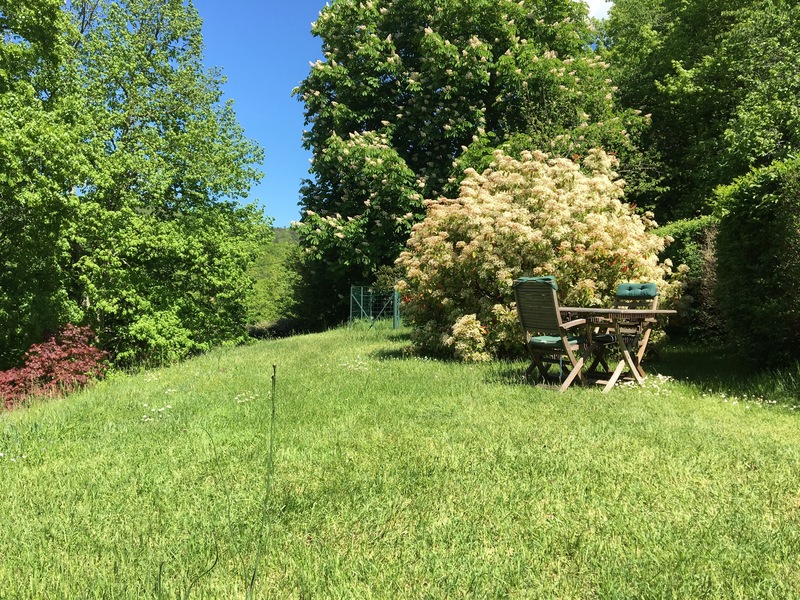 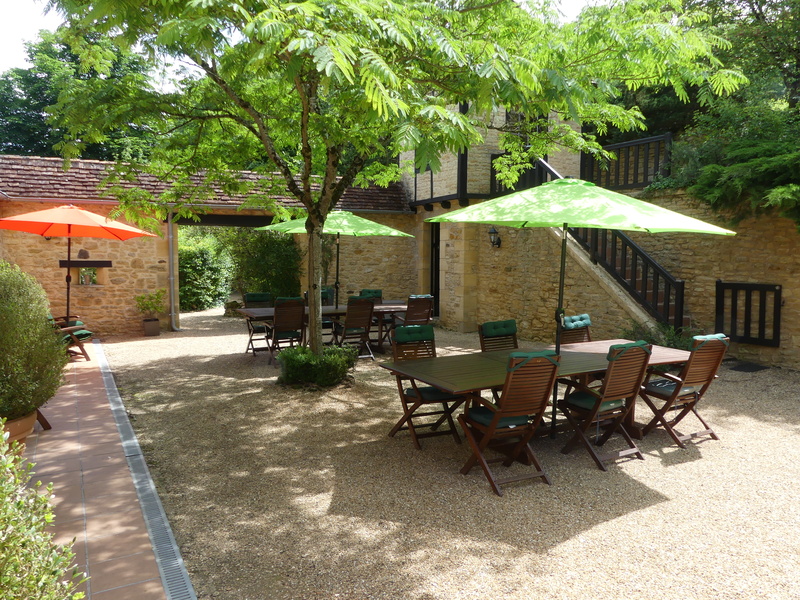 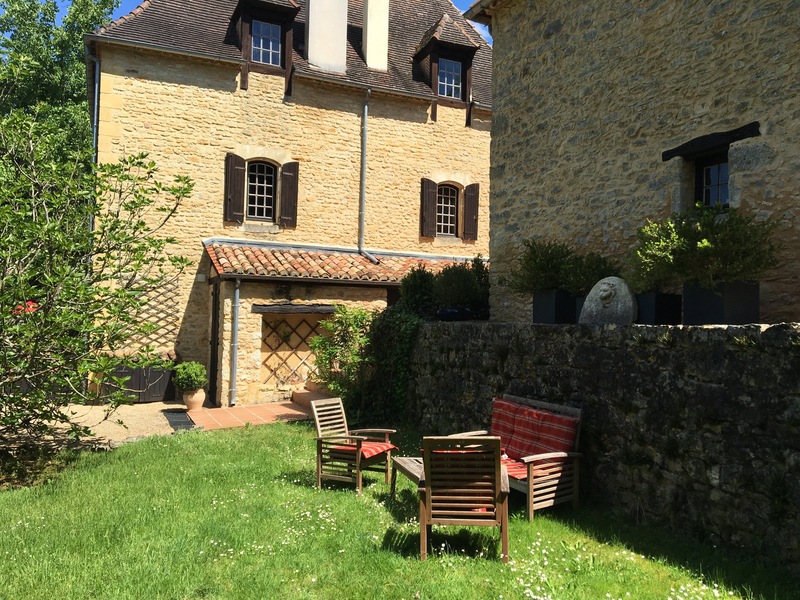 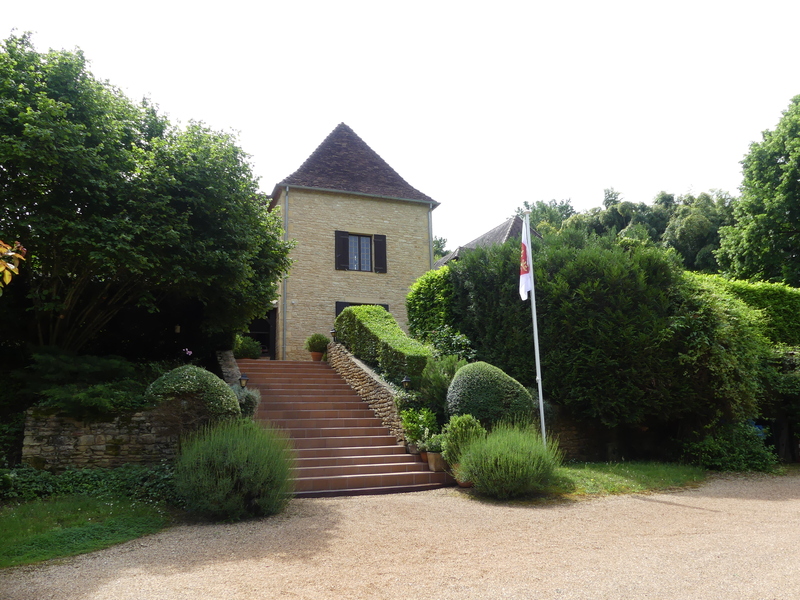 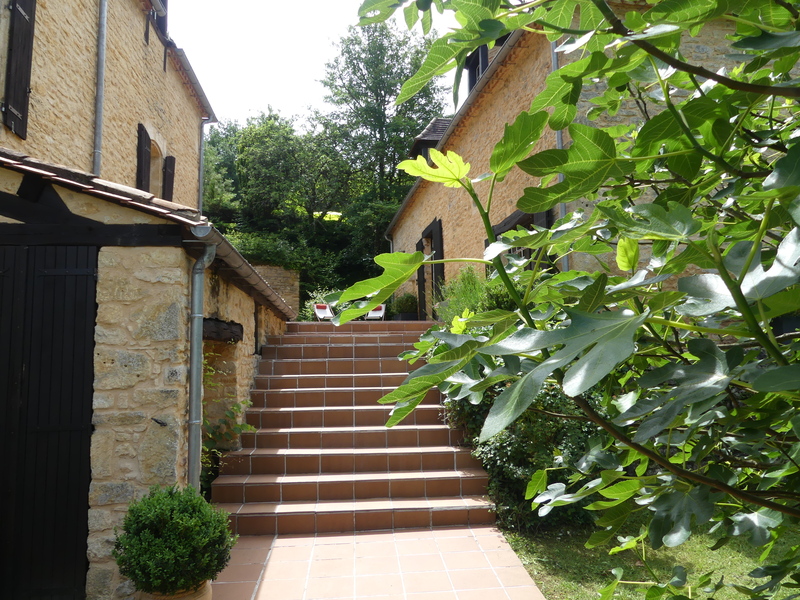 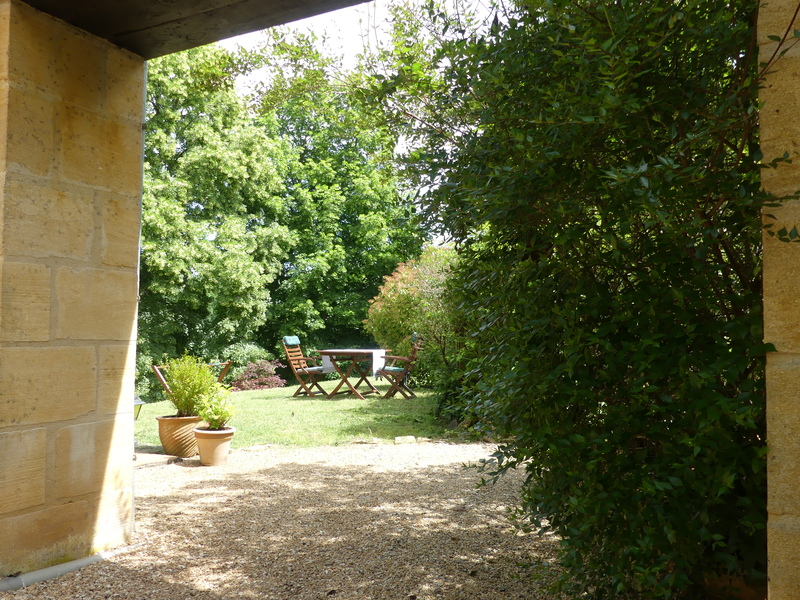 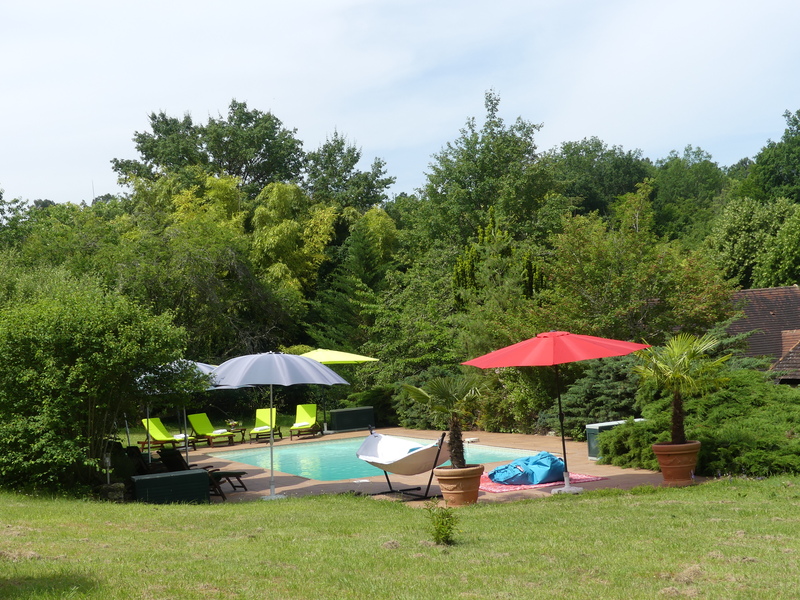 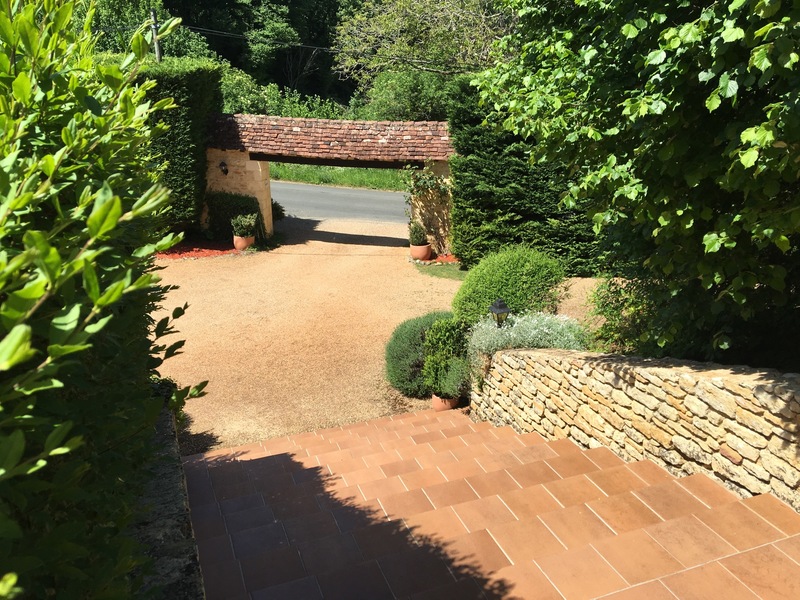 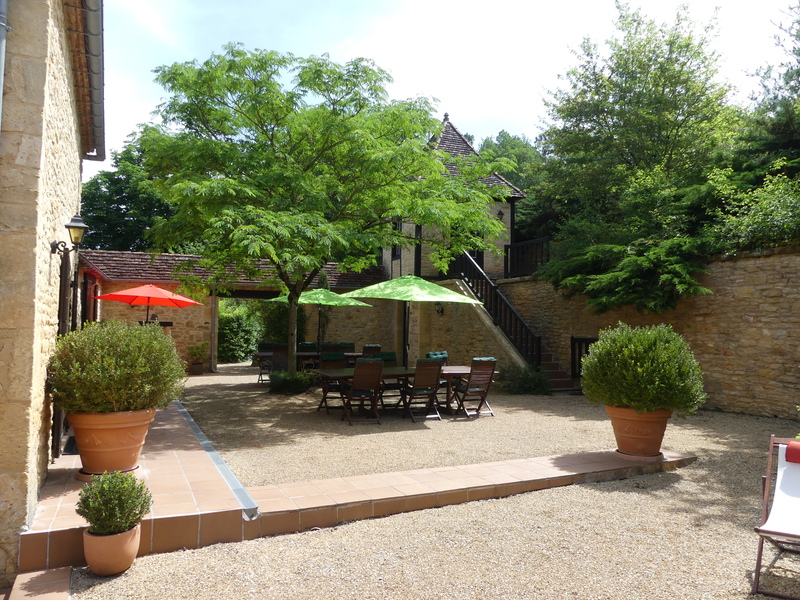 The estate is located 4.5 Kilometers from the village of “le Bugue” which is crossed by the Vézère. 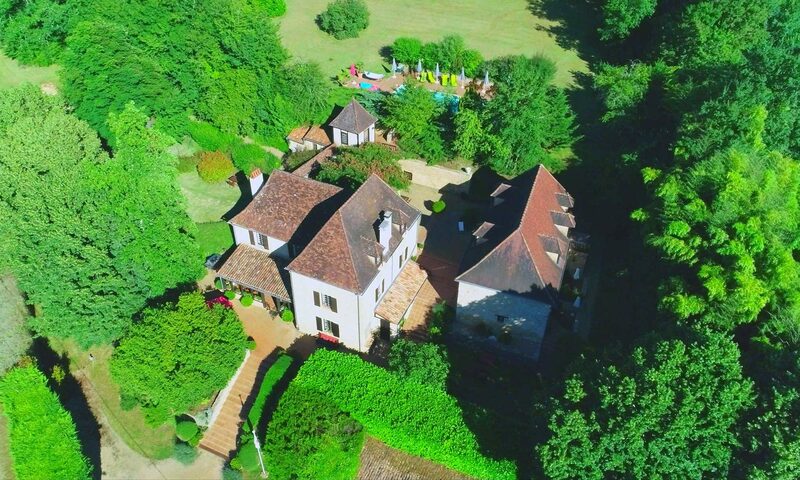 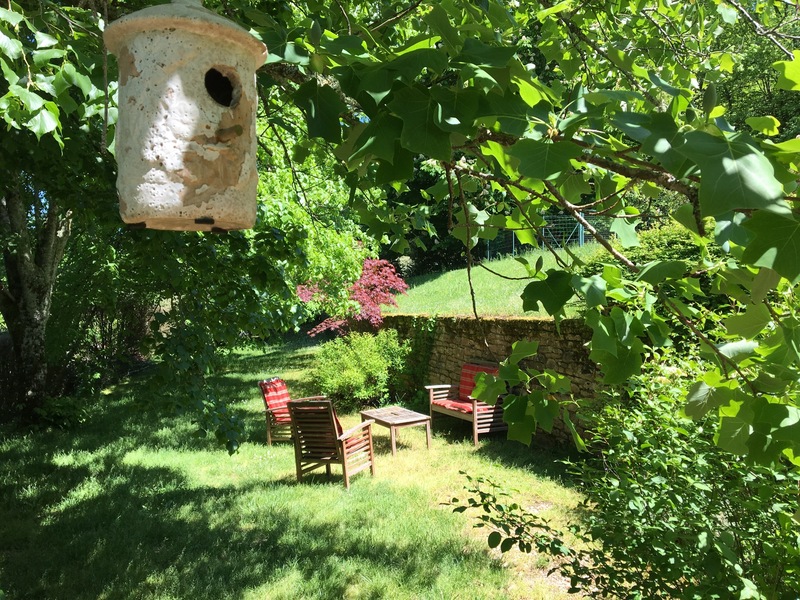 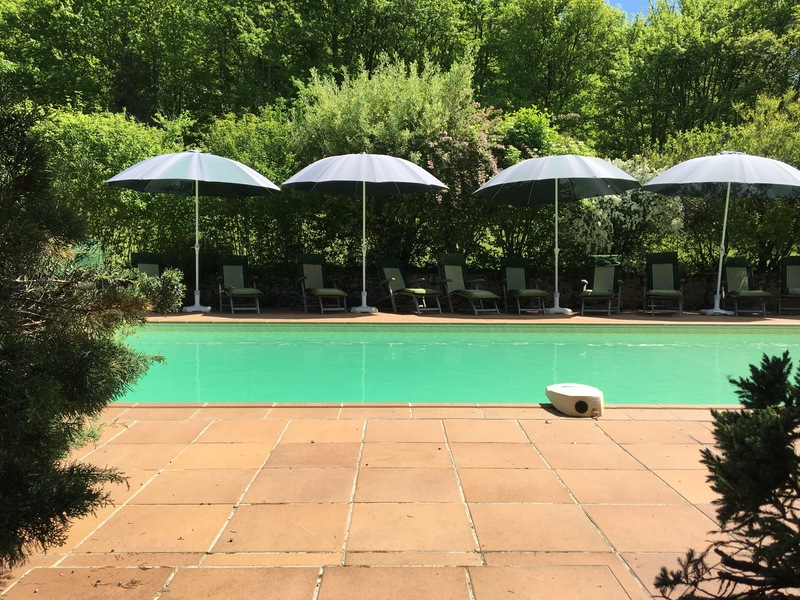 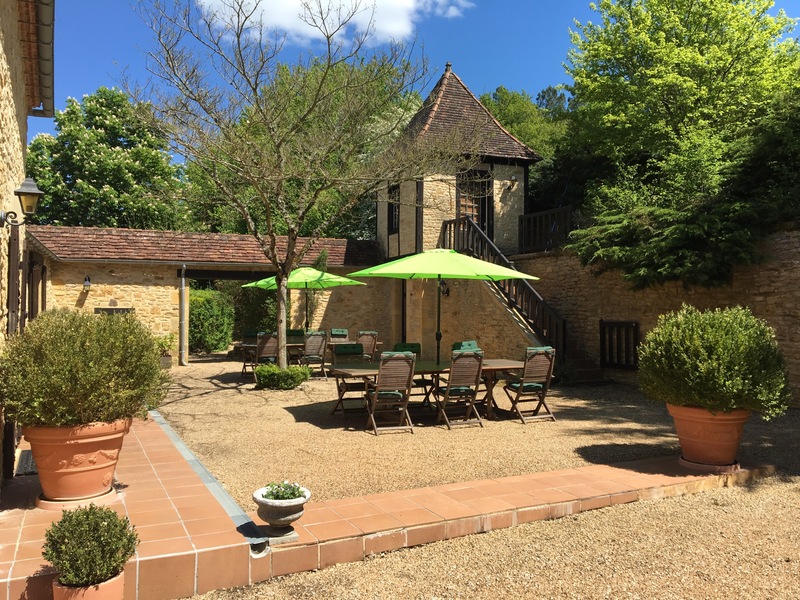 Authentic and romantic estate, “Le Noyer Résidence” extends over a landscaped park of 2.5 hectares and 2 hectares of meadows, oaks, and chestnut trees. 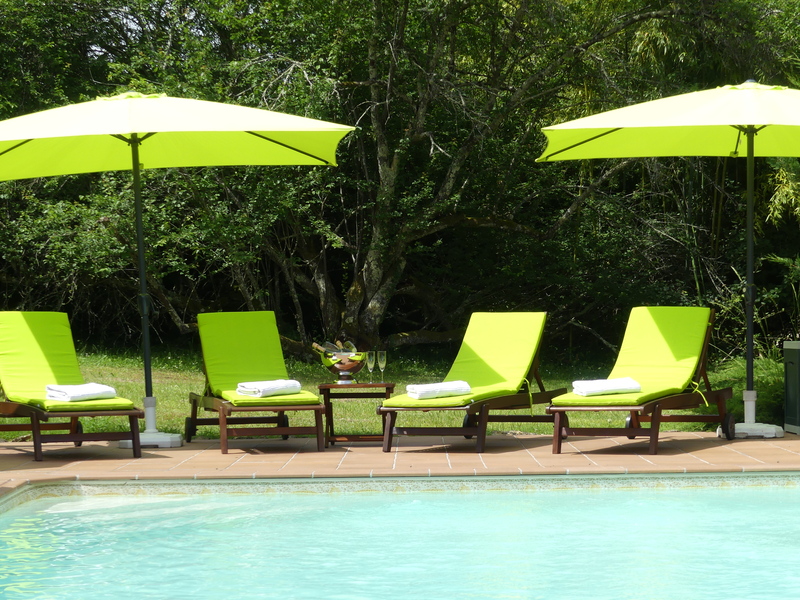 With a rich and varied flora and fauna, it hosts a variety of birds, small and big game. 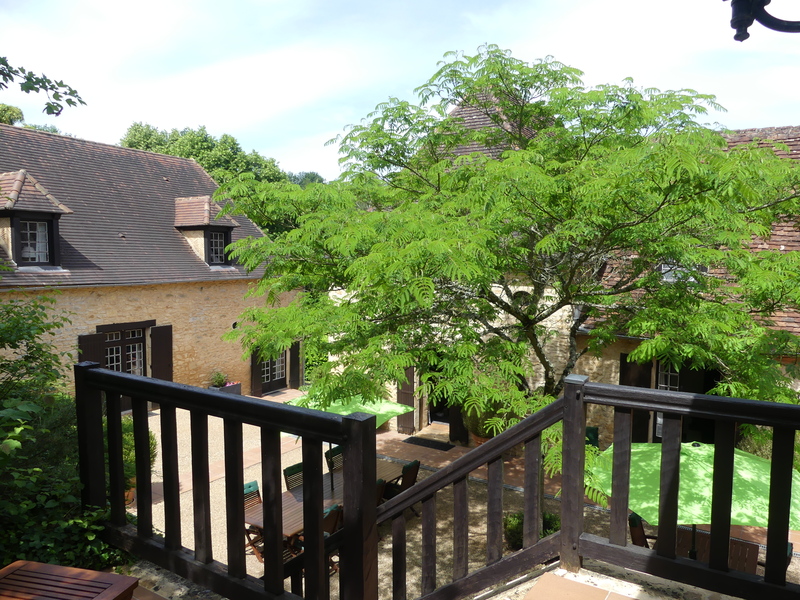 Dating back to the 18th century, “Le Noyer Residence” was first exploited as a farmhouse until the 20th century. 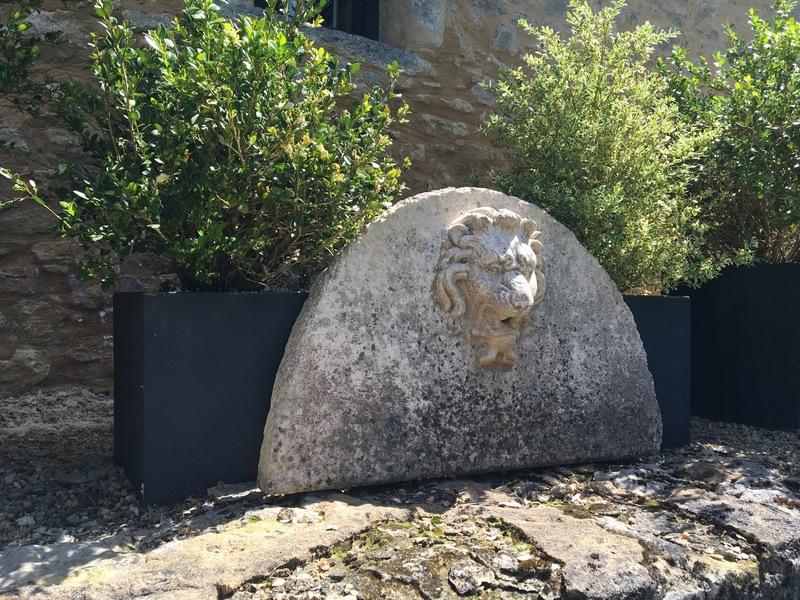 It was then restored with taste in the tradition of the region. Until the 90’s, the “Le Noyer Résidence” was a small charming hotel whose cuisine was appreciated and renowned by customers from all over the world. 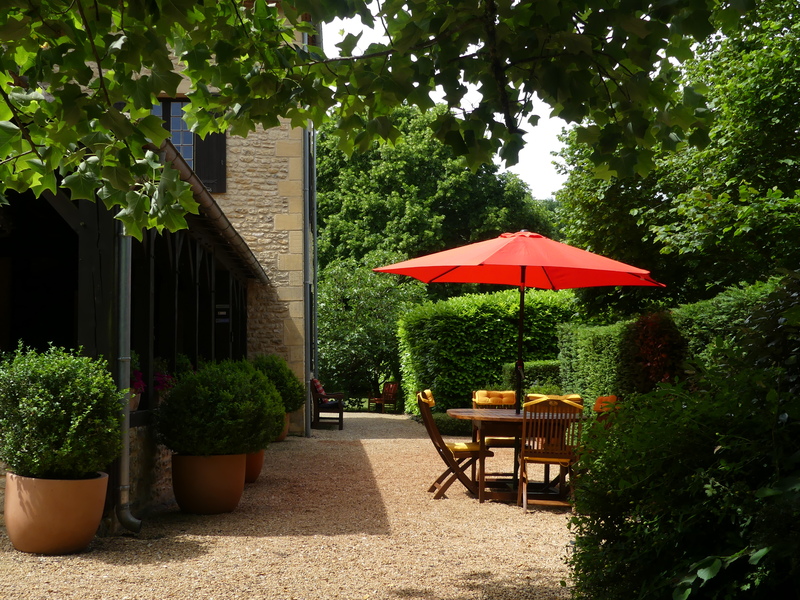 In 2005, the “le Noyer Residence” was transformed into upscale bed and breakfasts by a passionate couple. 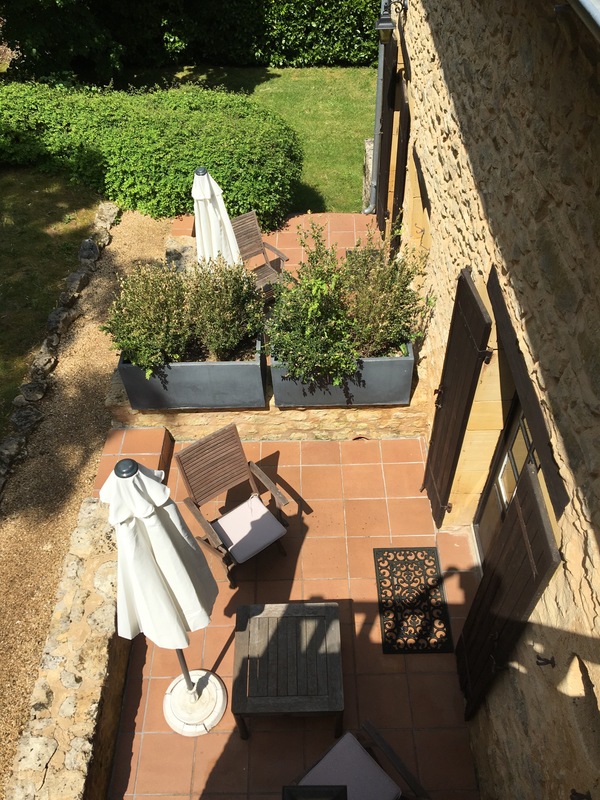 “Le Noyer Résidence” has 5 bedrooms in suite which all benefit from a bathroom, a relaxation area, a television, Wifi and a private access. 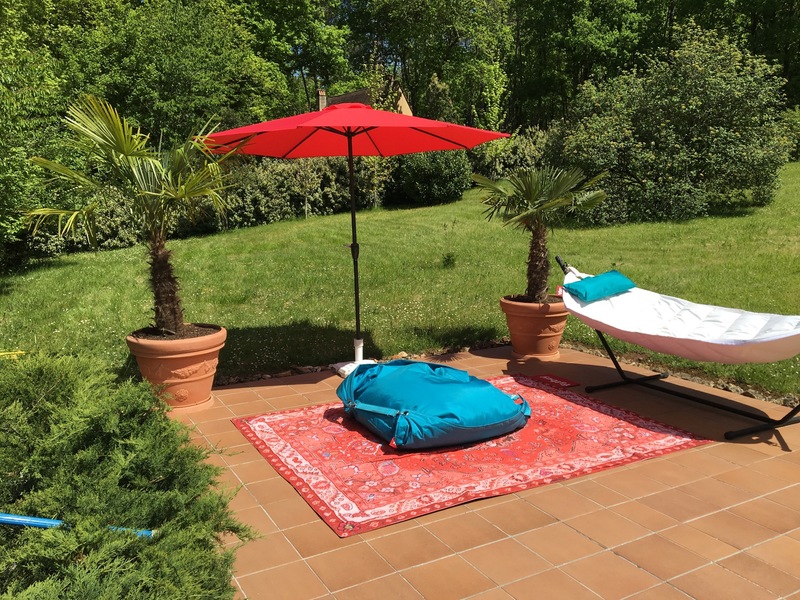 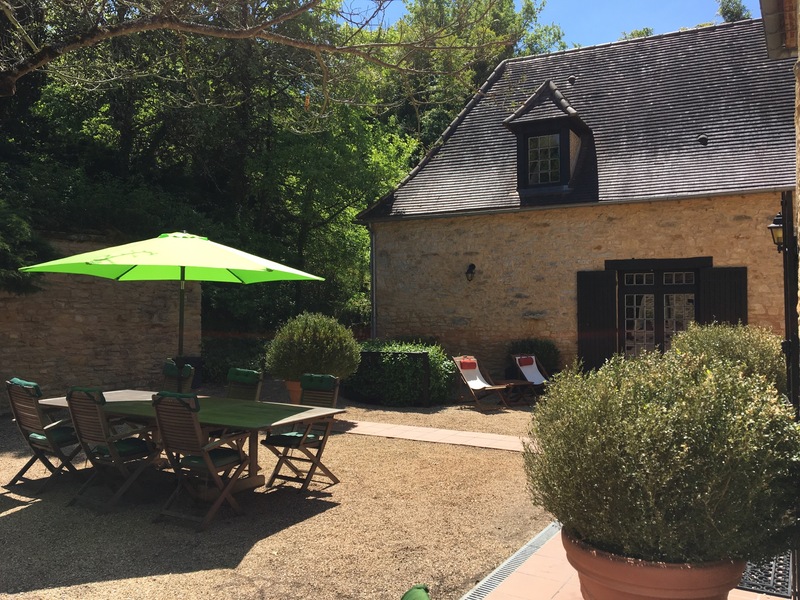 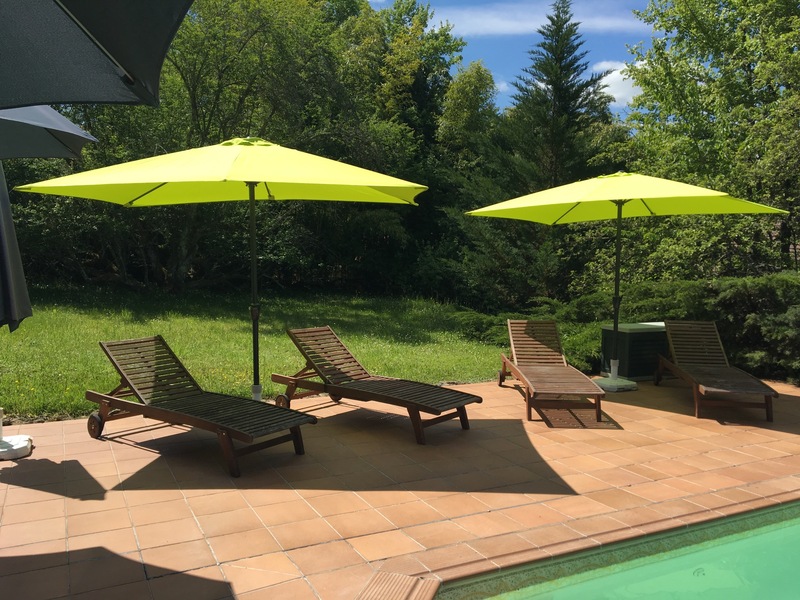 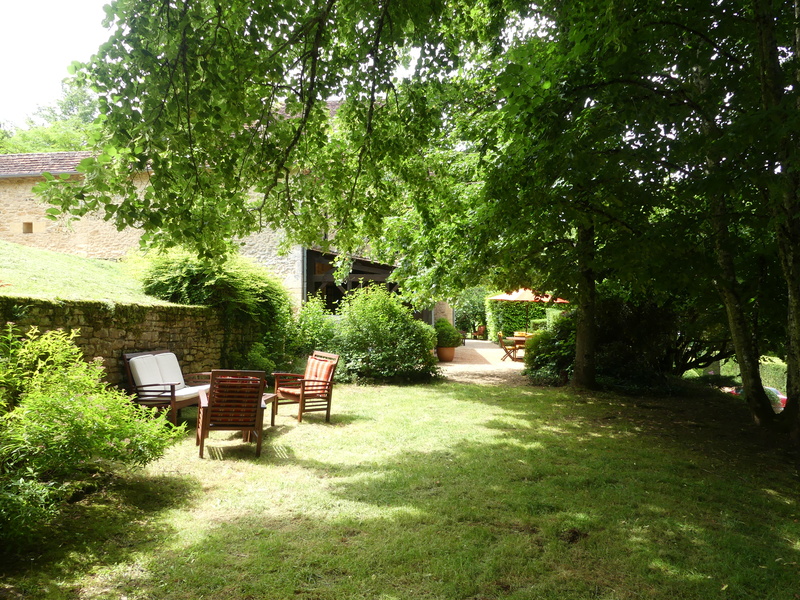 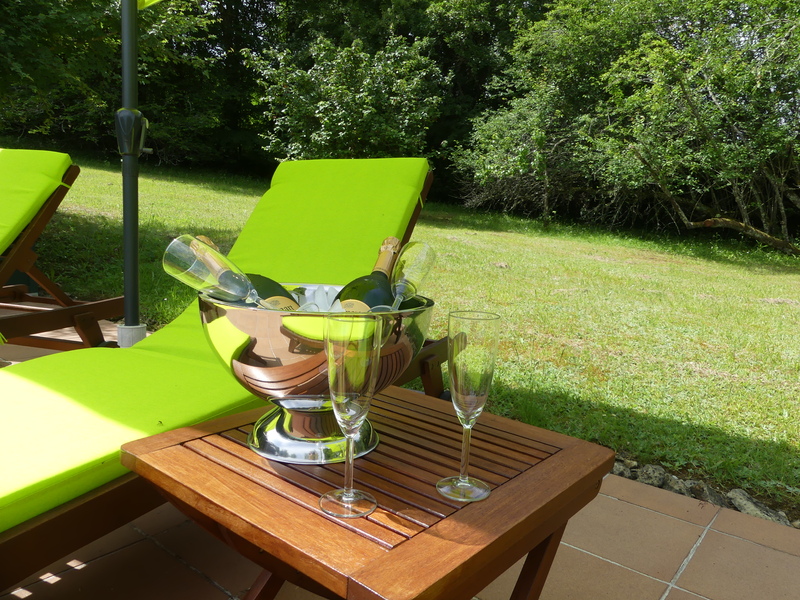 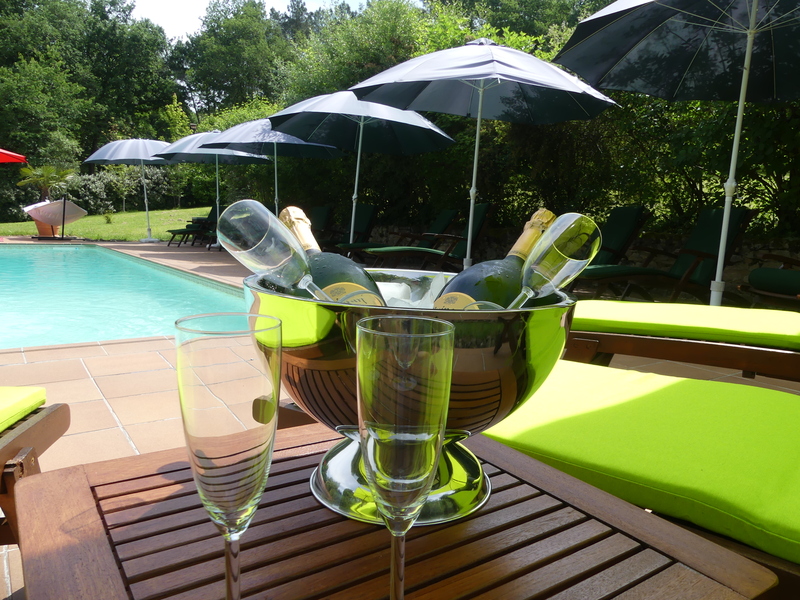 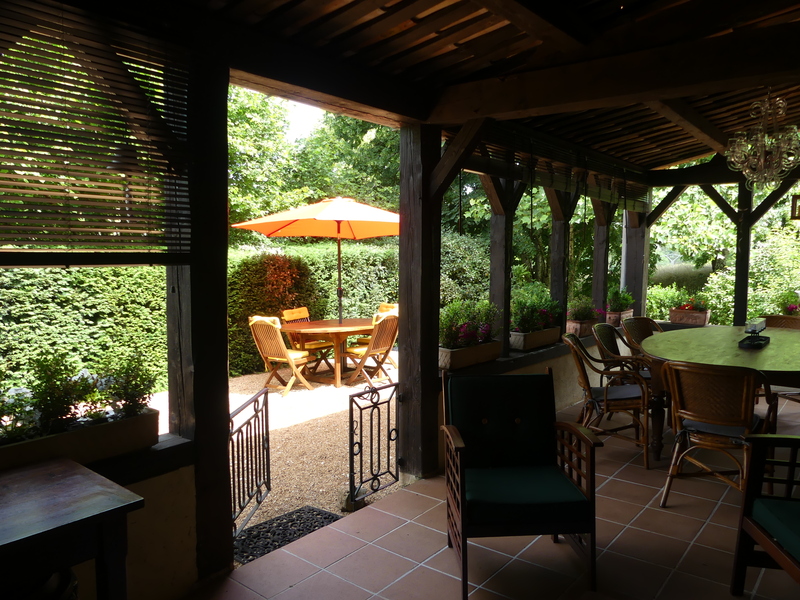 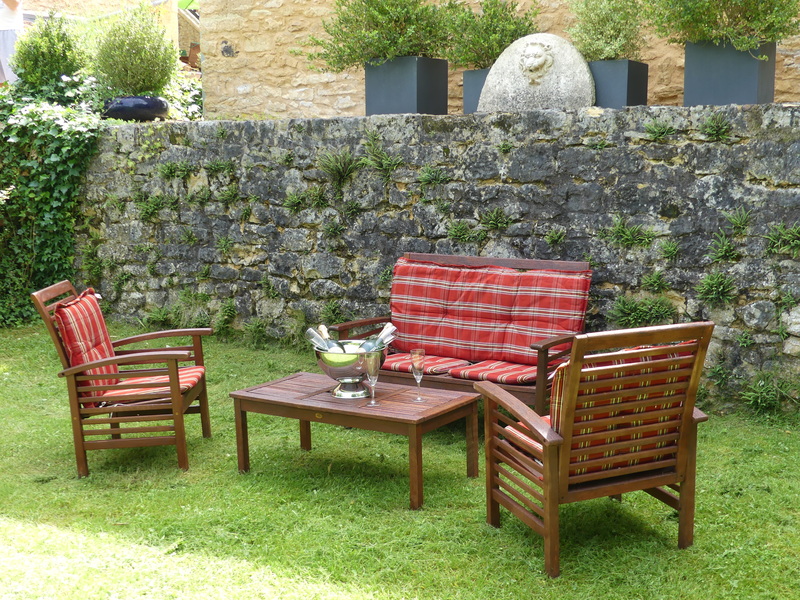 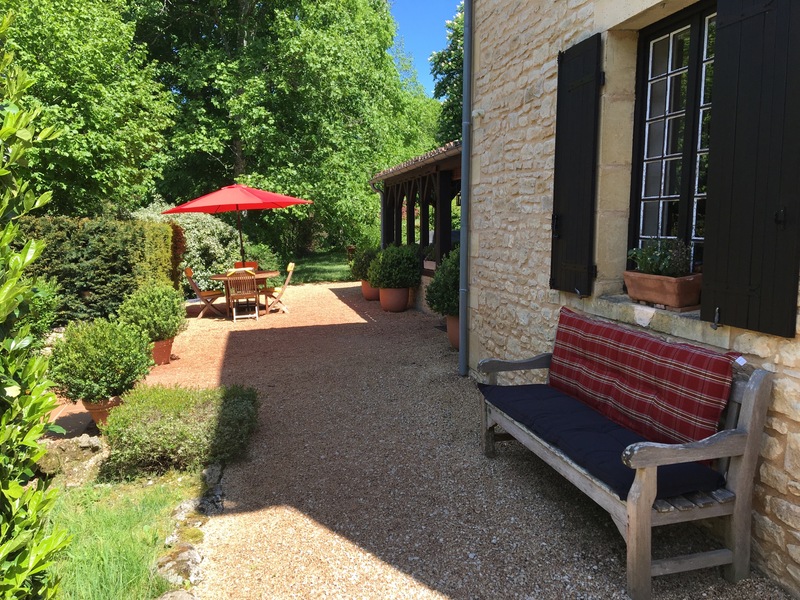 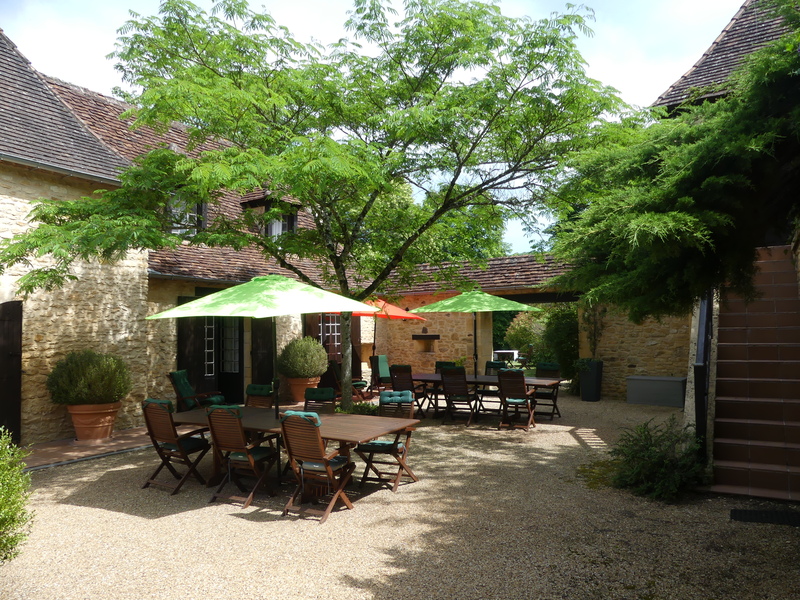 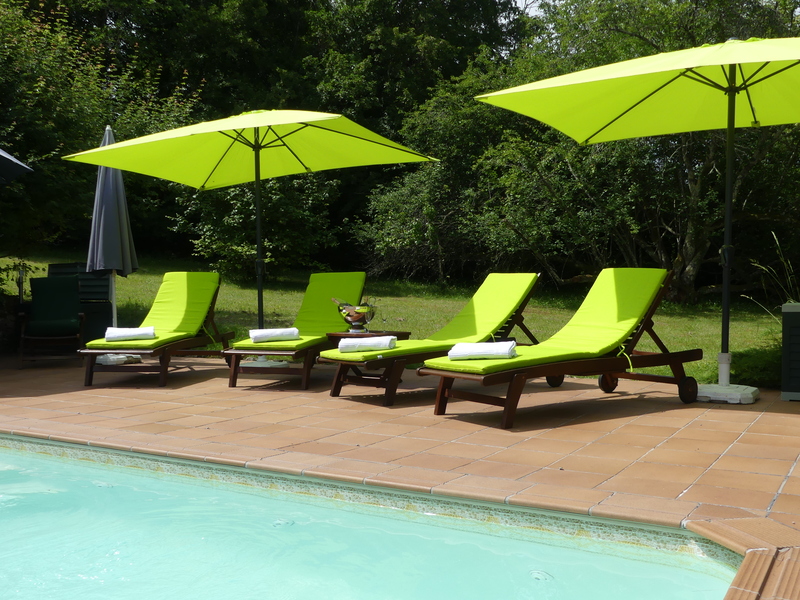 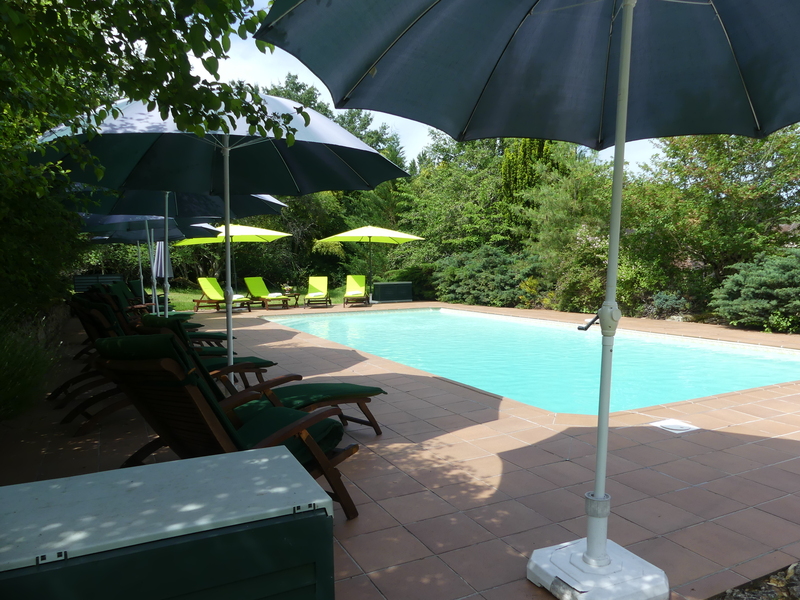 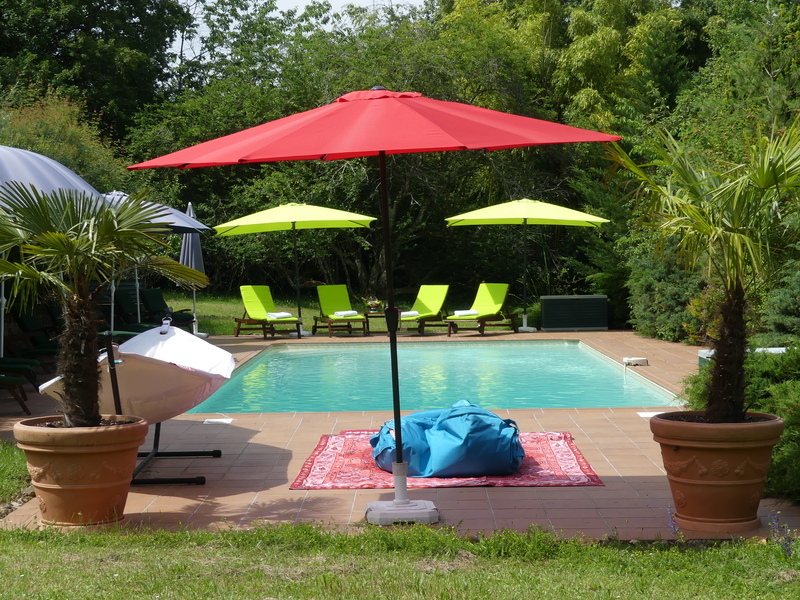 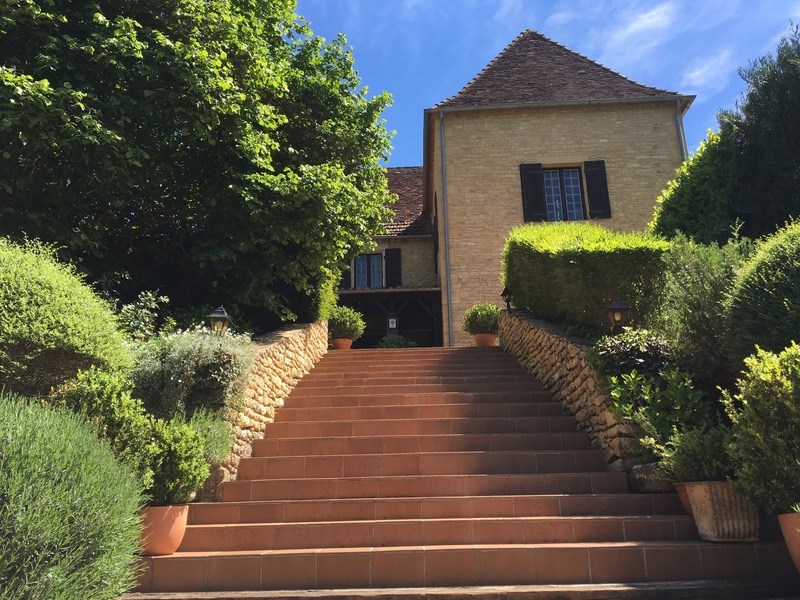 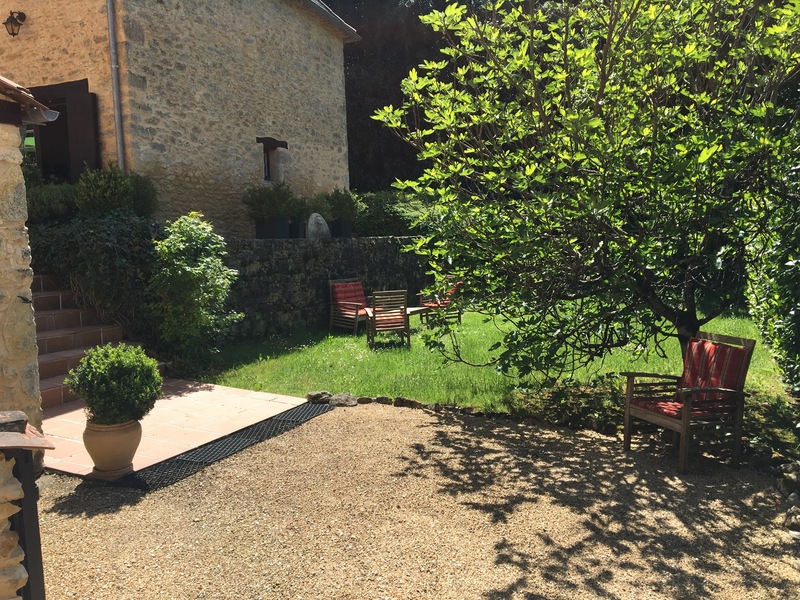 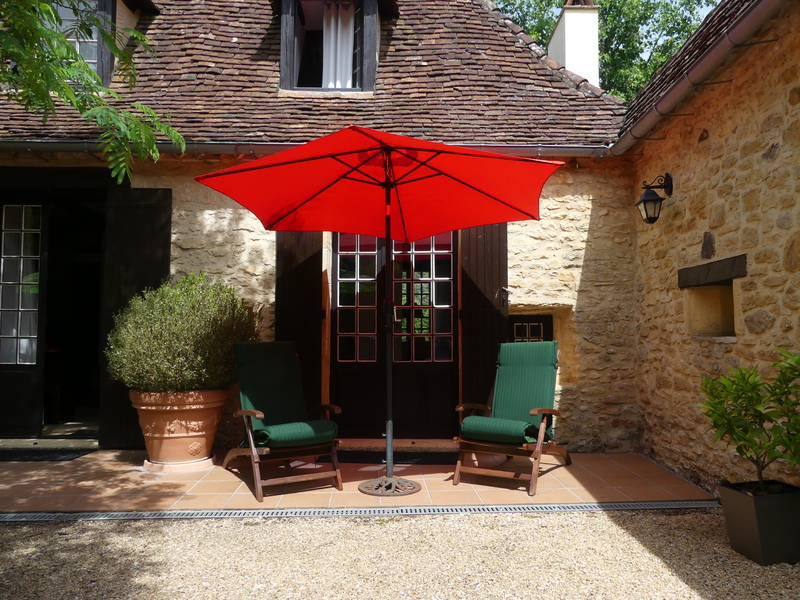 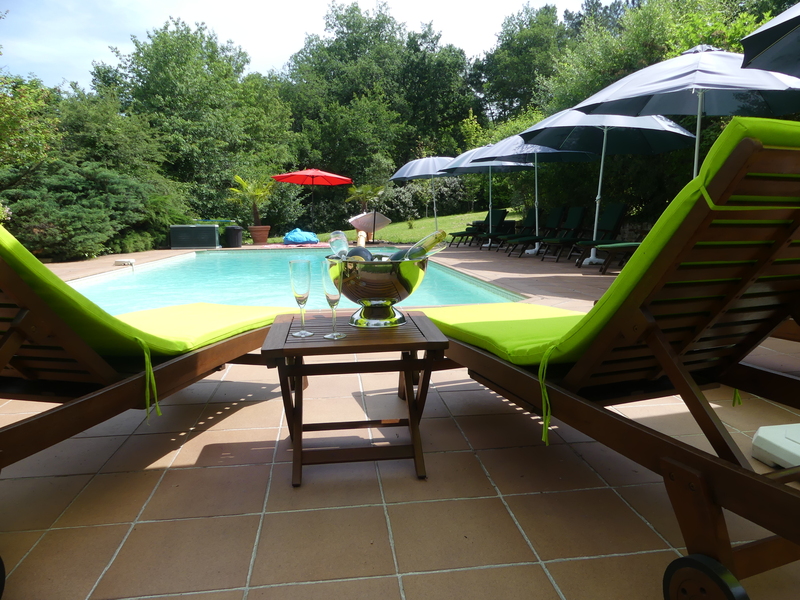 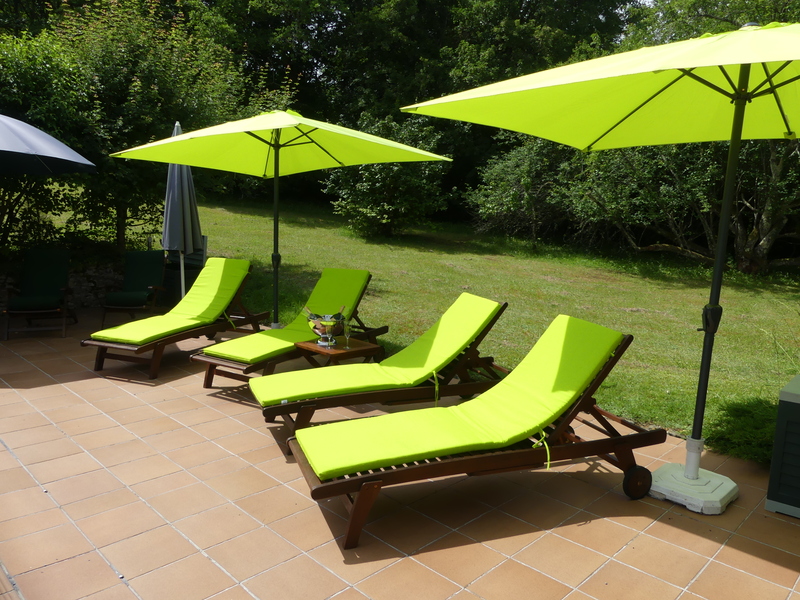 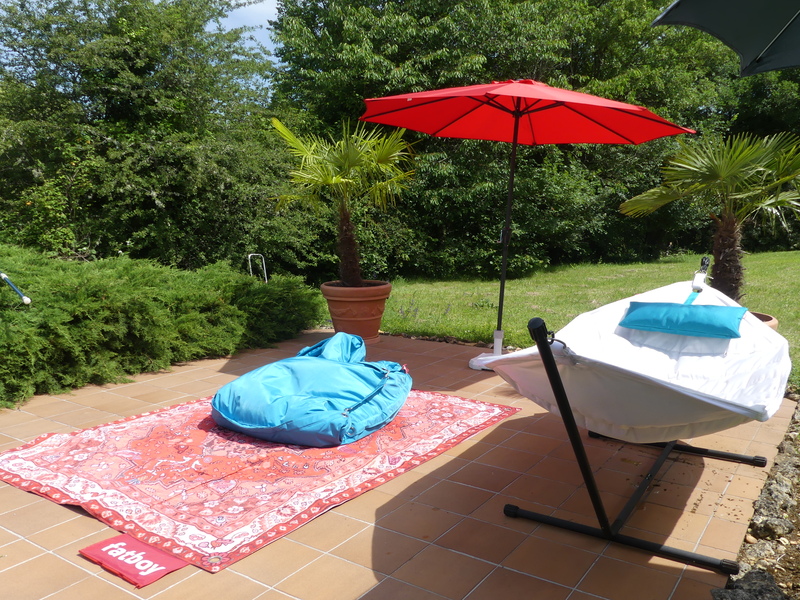 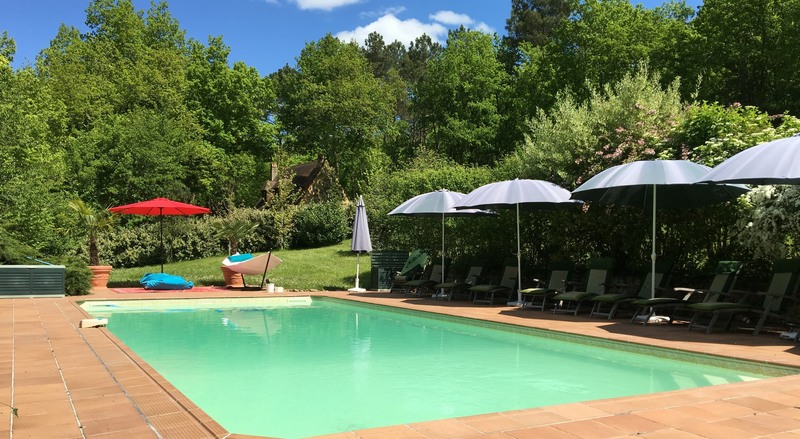 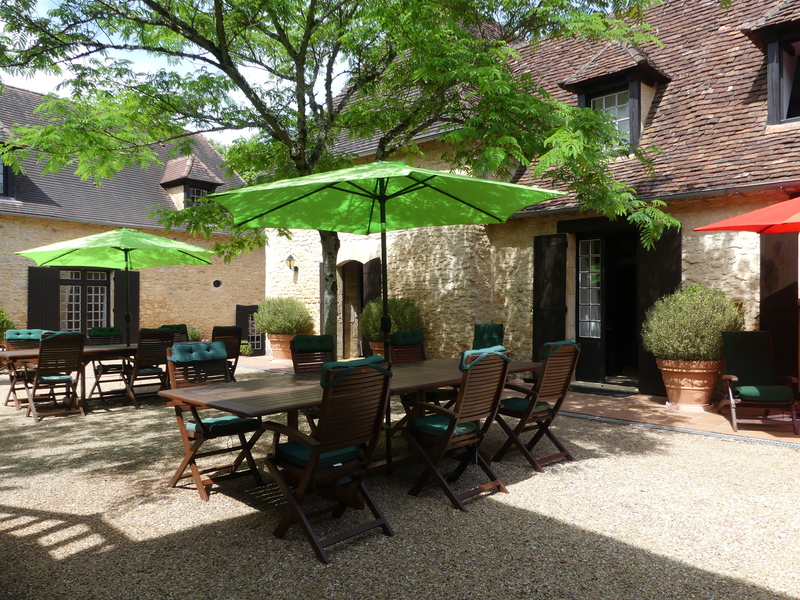 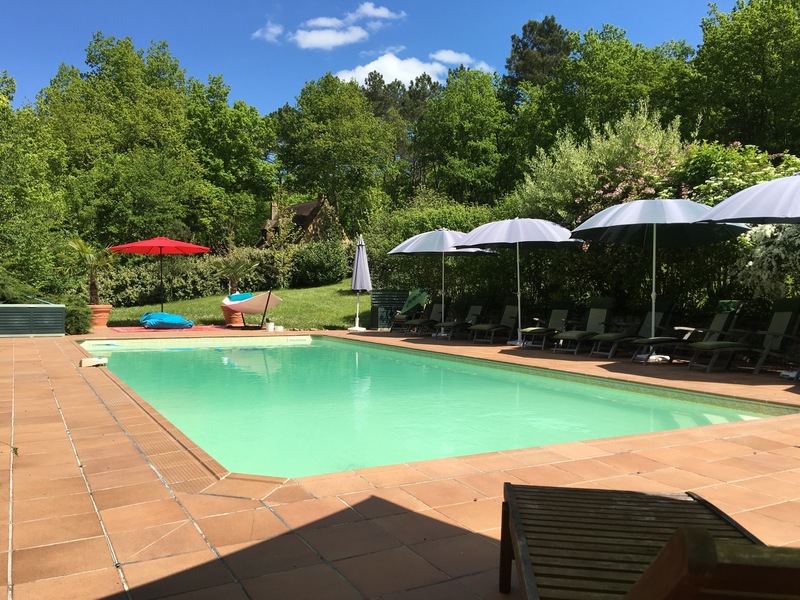 “Le Noyer Résidence” is very popular for a holiday of rest as well as for those who seek relaxation and gastronomy. 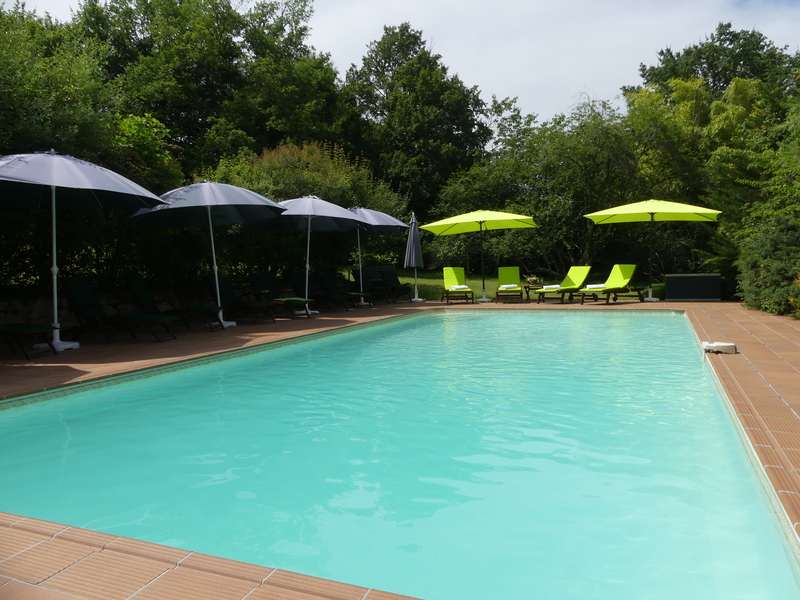 To guarantee these benefits, we can not accommodate children under 13 years. 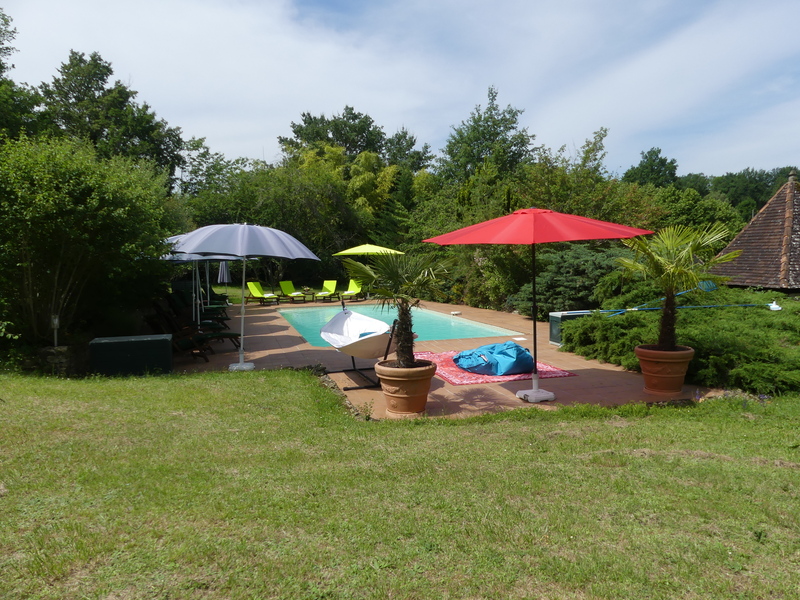 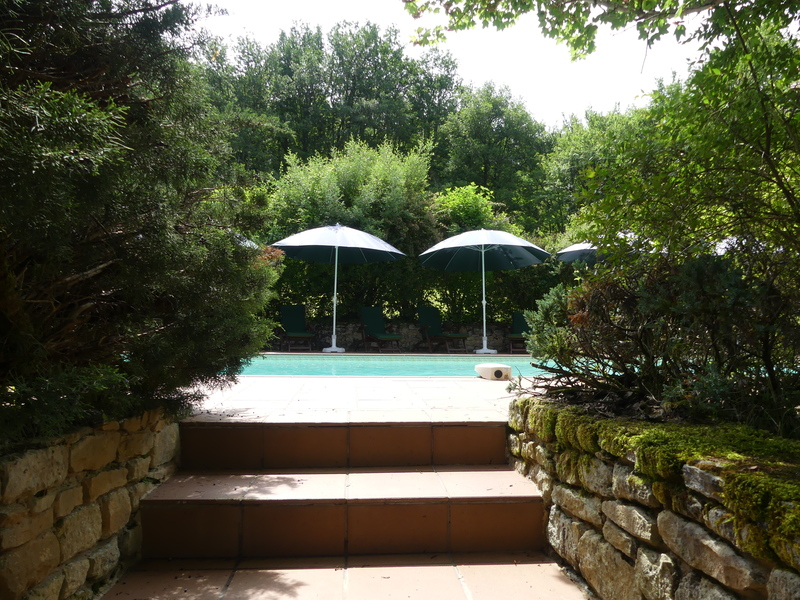 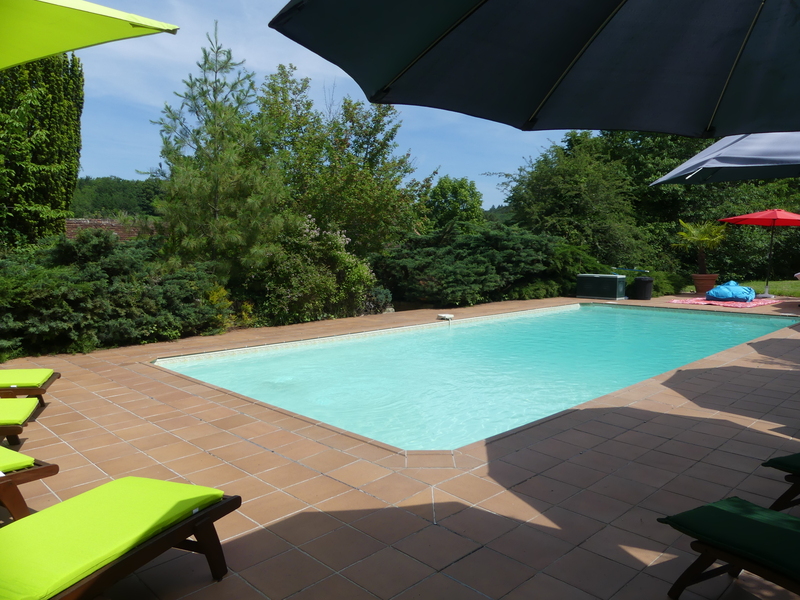 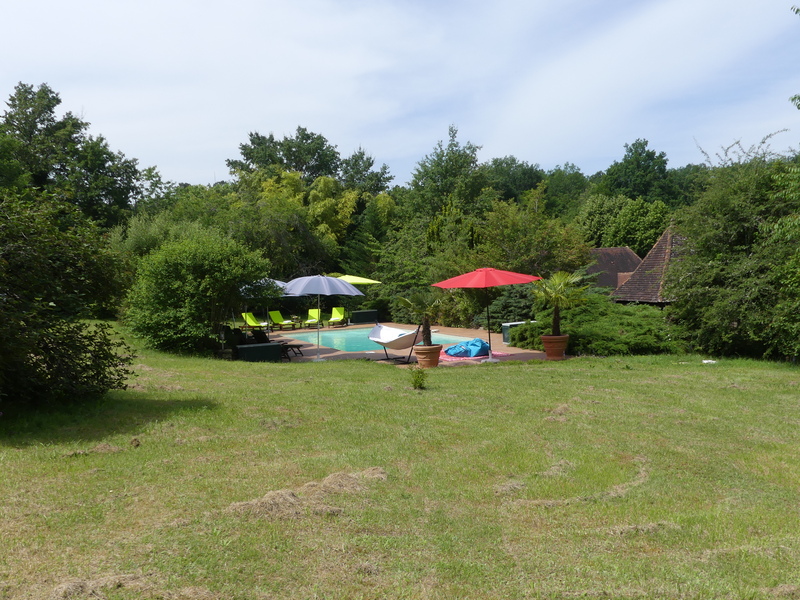 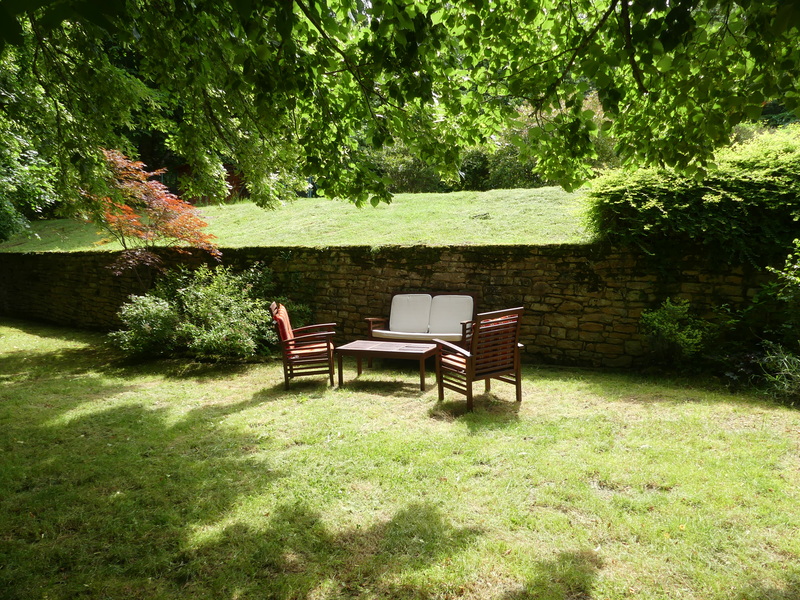 On the estate you will find a swimming pool with terrace surrounded by a lawn with views of the surrounding hills. 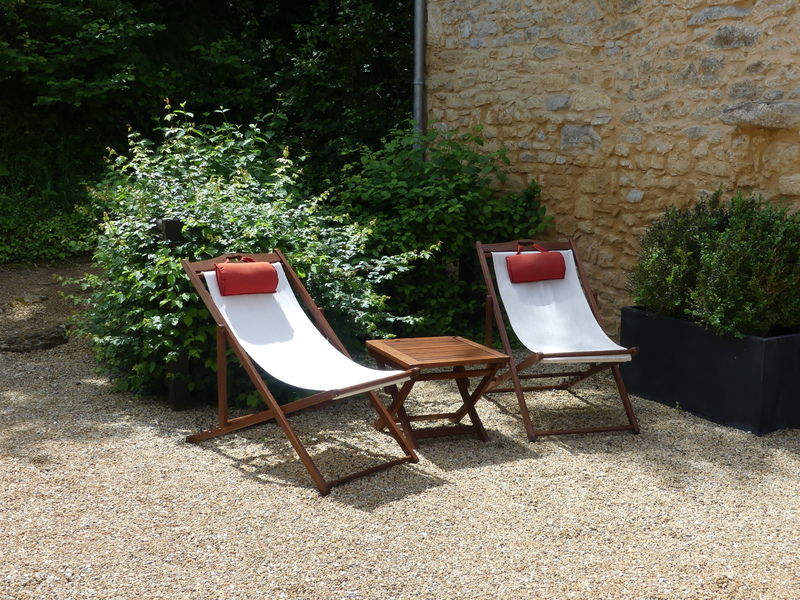 An interior courtyard, with resting furniture, guarantees relaxation moments until late at night. 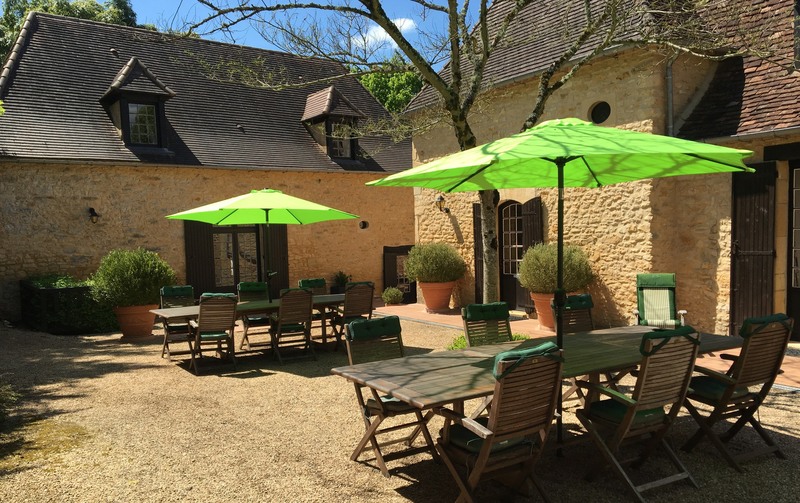 A five minute drive from the village of “le Bugue”, you will find its historic center, shops and weekly market on Tuesday. 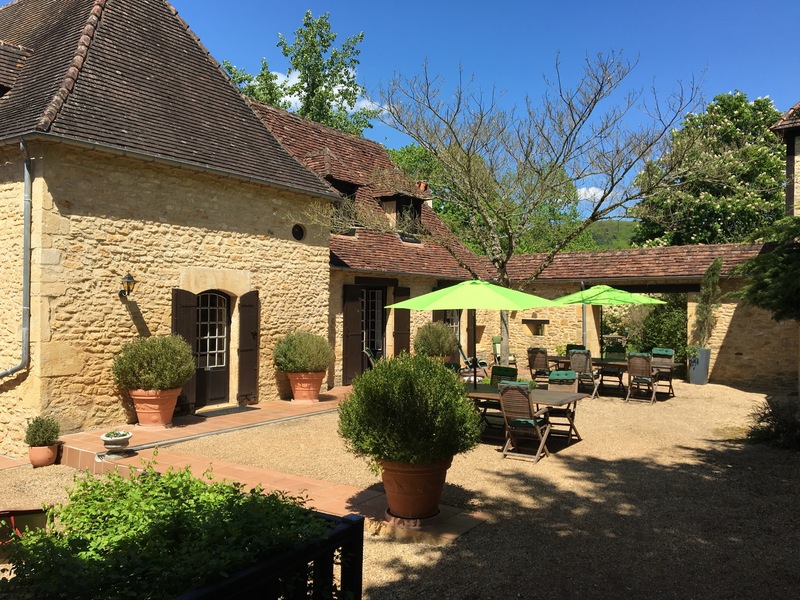 Visiting the region, Michel and Nicolas fell in love with the estate and took over the business in the spring of 2018! 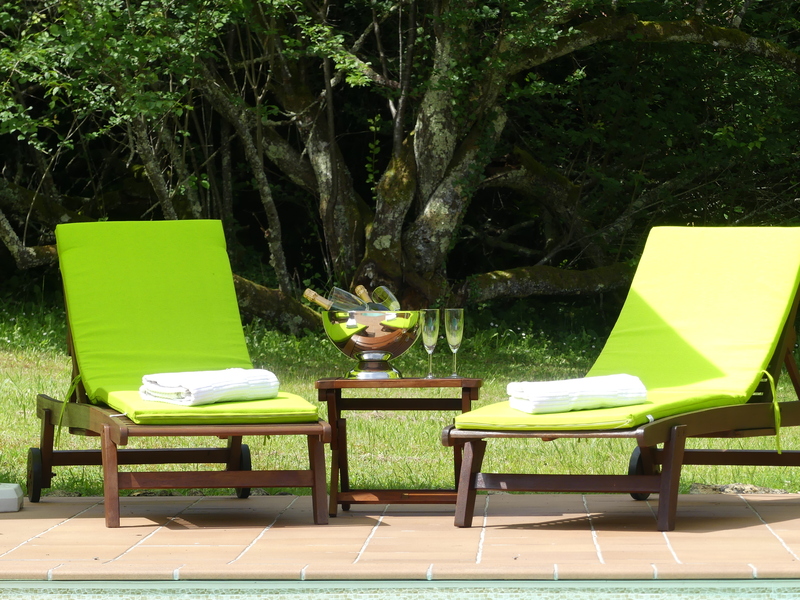 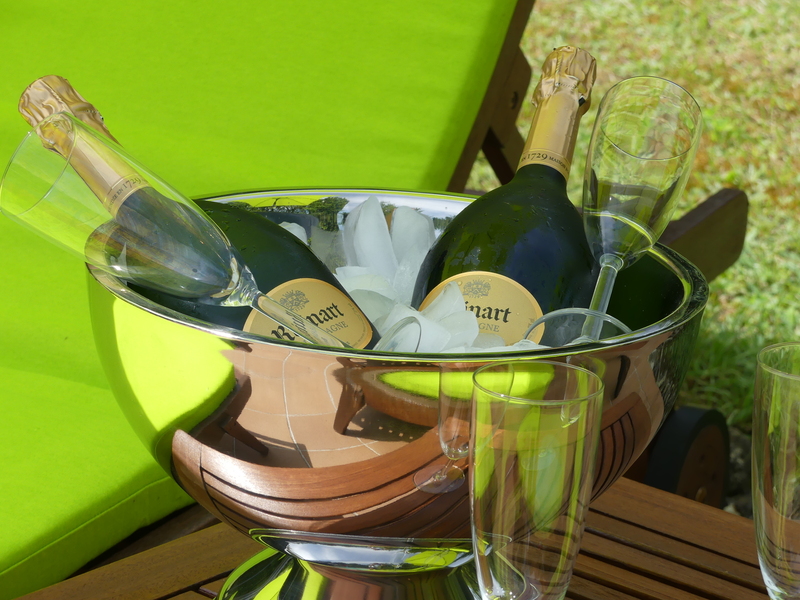 They guarantee you an unforgettable stay in an atmosphere of luxury, relaxation and rest.